Home / Framed Photos / NASCAR's Carl Edwards 2005 Pre-Race Photo at Texas Motor Speedway! NASCAR's Carl Edwards 2005 Pre-Race Photo at Texas Motor Speedway! 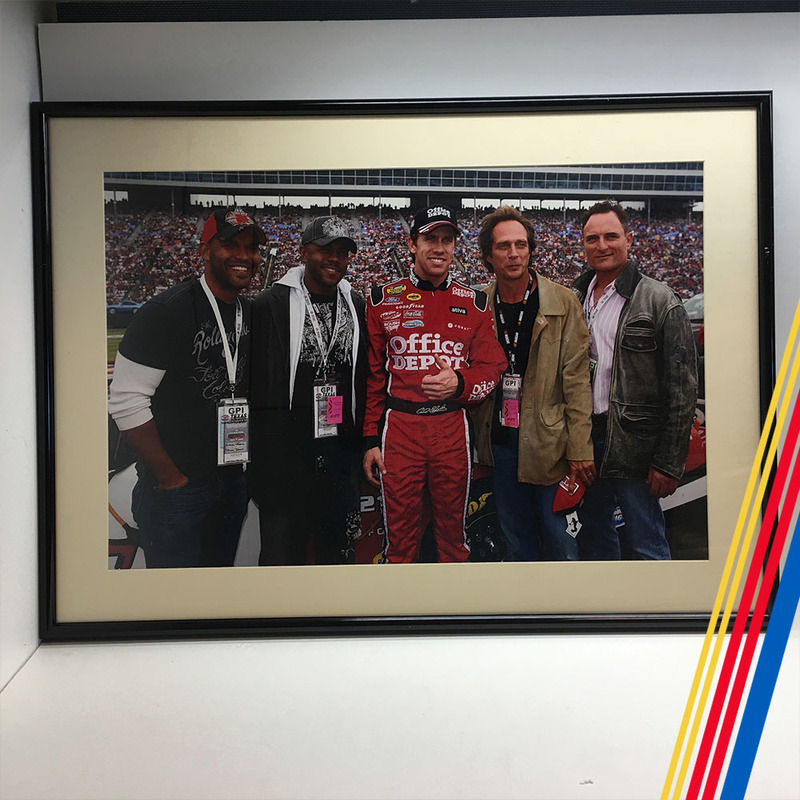 Bid on this professional framed photo of NASCAR Nextel Cup Series driver Carl Edwards, stars of the American television serial drama Prison Break Amaury Nolasco and William Fichtner, and by AMC television series Sons of Anarchy stars Rockmond Dunbar and Kim Coates during Pre-Race ceremonies at the NASCAR Nextel Cup Series race, The Dickies 500 ran at Texas Motor Speedway, November 5, 2006. Photo is framed by Bruneau Gallery in New Symrna Beach Florida. Item has been on display.